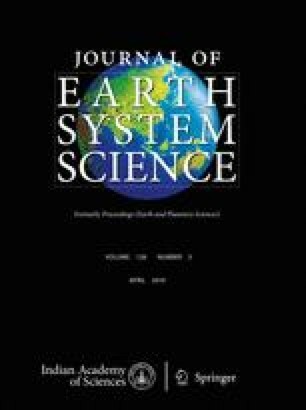 This paper analyses and applies a spatio-statistical failure rate (SSFR) technique for landslide susceptibility zonation in the Hindu Kush region, Pakistan. The study area (Shahpur valley) is located in the eastern Hindu Kush mountain system. In Shahpur valley, land sliding is a recurrent and costly extreme event. Geologically, this region constitutes the youngest mountain systems and almost every year landslide-induced losses are reported. The frequency and intensity of landslide events is expected to further increase in future due to rapid population growth over the fragile slopes, infrastructural development and deforestation. In order to achieve objectives of the study, data were obtained from both primary and secondary sources. In Shahpur valley, an inventory of the past 300 landslide events of various sizes has been identified and marked on a SPOT satellite image of 2.5 m resolution. In order to identify the influence of landslide triggering factors, such as geology, tectonic structures, land use, slope angle, slope aspect, roads and streams, a univariate SSFR technique has been tested and applied for calculating the susceptibility score in each class of the selected parameters. Based on factor maps and cumulative score, the landslide susceptibility zones have been developed and validated appearing to be significantly reflecting the pattern of the past landslide events. This research would not have been possible without the technical support of our colleagues Mr Liaqat Ali Khan and Mr Alamsher Bacha. We thank them for giving valuable ideas and support in the application of GIS.